Nigeria | Where's My Eraser? Please take a moment to read this linked article by Gina Vaynshteyn about the kidnapping of over 200 girls in Nigeria and the international movement aimed at bringing those girls back to their families and schools. “Everything You Need to Know About #BringBackOurGirls” details the heinous crimes of the Nigerian terrorist group Boko Haram and its ideology of denying education to girls. The group recently declared its intentions to sell these kidnapped girls into slavery. 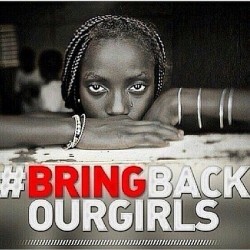 We must urge leaders in Nigeria and in the international community to act quickly to bring these girls to safety. Please help raise awareness about this urgent issue. This entry was posted in International Education, News & Media and tagged #BringBackOurGirls, Africa, Africaed, African education, edchat, Education, girlsed, international education, Nigeria on May 6, 2014 by Chris Thelen.